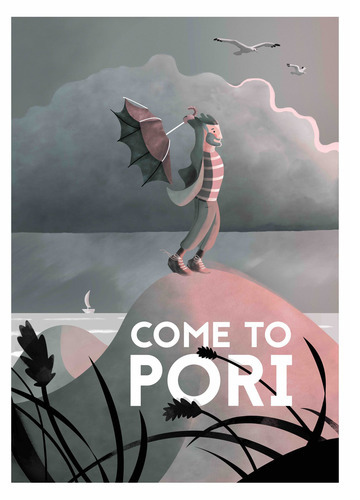 I got the inspiration for this poster from a storm that surprised us at the beach of Yyteri in Pori on the west coast of Finland. We had ”ordered” sunny and hot weather for our day off, but ended up having more fun as we were battered by the wind. 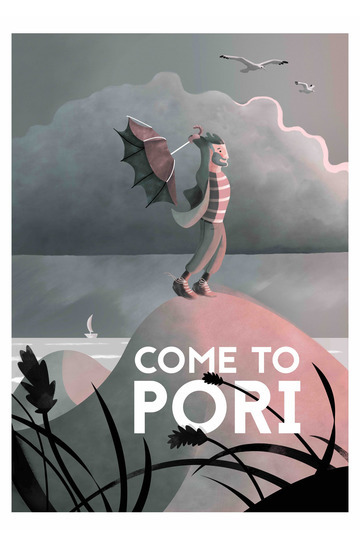 So, surely travel posters can’t simply remain a cry from the past?